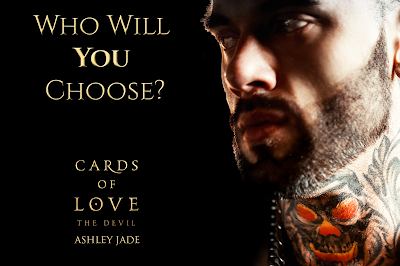 Ashley Jade craves tackling different genres and tropes within romance. Her first loves are New Adult Romance and Romantic Suspense, but she also writes everything in between including: contemporary romance, erotica, and dark romance. Her characters are flawed and complex, and chances are you will hate them before you fall head over heels in love with them. She's a die-hard lover of oxford commas, em dashes, music, coffee, and anything thought provoking...except for math. Books make her heart beat faster and writing makes her soul come alive. She's always read books growing up and scribbled stories in her journal, and after having a strange dream one night; she decided to just go for it and publish her first series. It was the best decision she ever made. She loves connecting with her readers—they make her world go ‘round.